This Beldray dustpan and brush is the perfect addition to your cleaning set. Made from plastic with a stainless steel handle, the set is lightweight and comfortable to use on any surface. With a compact design the dustpan and brush set is easy to store away when it is not being used so it goes unnoticed in any cupboard. 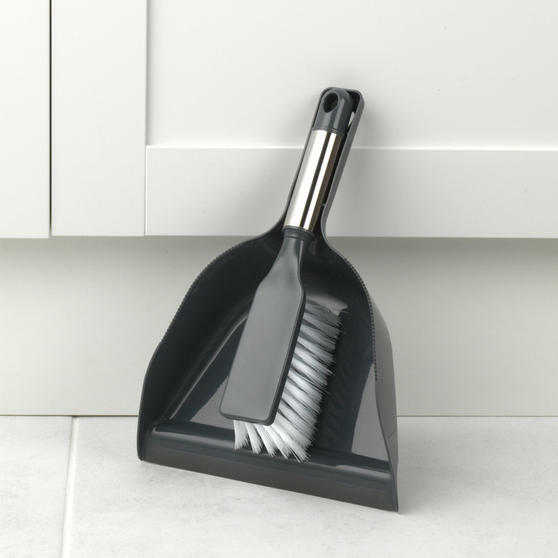 The dustpan has a rubber lip for effortless dirt collection and grooming teeth to remove dust from the brush bristles to make light work of your cleaning. 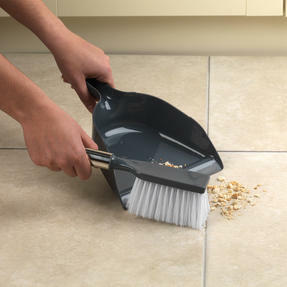 This Beldray dustpan and brush set works effectively on all surfaces so you can use it on all floors around your home. Designed to make cleaning simple, the dustpan has a rubber lip to gather dirt and grooming teeth to remove dust from the brush. After you have cleaned your surfaces the compact set conveniently stores away, taking up minimal space in your cupboards. Plastic with a stainless steel handle, the brush looks smart and is comfortable to carry around while you are cleaning. The brush is high quality and durable even with everyday use so you can trust it to last, it also comes with a one year guarantee.